Your team eagerly awaits this moment every year: time for the annual retreat. As a manager, you constantly strive to incorporate fun into this work outing as this serves to develop professional and personal connections, foster team spirit, increase company profits and reward staff for their efforts over the last year. With these goals in mind, our experts have picked out just for you a series of nautical activities guaranteed to spruce up your conventional meeting and teambuilding activities. Management experts are unanimous: new places and unusual settings can boost your team’s efficiency and creativity. 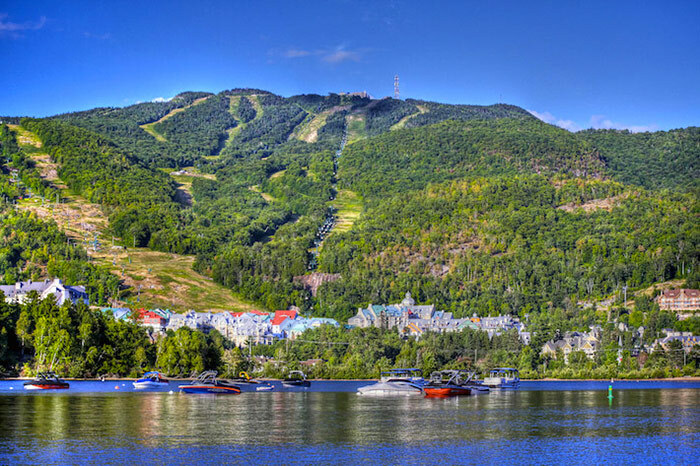 Follow their advice, get out of the office and bring your team to Tremblant for a cruise on our majestic lake. And no, the boat does not have Wi-Fi connection. Your audience will have to give you their full attention, making it the perfect time to share key messages and ensuring every team member is involved and participating in the brainstorming activities. While there, why not enjoy a coffee break on the scenic deck? Let the sweeping views provide you with all the inspiration you need! The cruise boat can welcome up to 70 people. Food and beverage service is available on demand. After a series of meetings, it is time for teambuilding activities. Time to test your team’s cohesion, collaboration and instincts as they face challenges together. What better way to call upon their physical and mental strength than rafting down the Red River? With adrenaline rushing through their veins from the thrill of such an experience, your team members will show their true colors. New leaders will emerge, taking your team to new heights as they become closer than ever. For those who prefer to stay dry, less extreme activities are also available. Why not try racing a canoe, an activity with plenty of opportunities to foster healthy competition by forcing unlikely partners to collaborate. New friendships will form before your very eyes. There are many more nautical teambuilding options available at Tremblant. Want to know more? Read the second part of this article and discover activities focused on relaxing both body and mind.